I have a confession to make: I’ve been having some digestion issues. In the months since starting Paleo (July 2011), I had almost forgotten what it felt like to have a stomach ache. I am VERY careful to stay away from gluten-containing items. In fact, before last week I think I had only had one encounter with gluten since before that first Whole30. These lessons have come as a result of a series of digestion issues. Specifically, in the form of crampy aching after most of my meals. This has led to a lot of frustration for me (“I’m eating Paleo foods… why is my stomach hurting?” “I have a Paleo website and a Facebook page with over 2800 fans… I can’t tell all of those people that I’m having regular belly-aches!”). It started week before last. Almost every night, right after dinner, I started feeling a little queasy and crampy (in my lower stomach… not like heartburn or acid reflux). Usually, after about an hour, the feelings would go away. I figured it was just a fluke because I was so busy with work and gearing up for a trip, so I kept going on my merry way. The next week (last week), I was in San Diego on a business trip. I know that I consumed gluten on at least two occasions that week (not voluntarily, I promise!). I also snacked on a lot of nuts and fruits. I had a stomach ache almost every night that I was away. At that point, I blamed it on the stress of travel, working in a different environment, jet lag, and too many meals out. I came home on Sunday evening, ready to get back on track and let my gut re-heal. However, I have still been in some pain almost every night this week… UNTIL TONIGHT. Why tonight? Well, I think it’s because I haven’t consumed ANY nuts today, and I’ve had very little fruit. WHAT?? But I thought nuts, seeds, and fruits were allowed on the Paleo diet!! Yes, they are allowed! But let me tell you something:they should be eaten in moderation. Last night I sat down and had a heart-to-heart with myself. 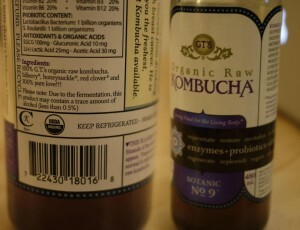 What has changed in the last three weeks that could have caused all of these digestion woes? Well, there are a few things that have changed, but the summation is this: I have gotten a little lazy. So today I did a little test. I woke up, made myself a real breakfast (3 eggs, scrambled with kale in coconut oil, bacon, and chamomile tea with full-fat coconut milk), stayed satisfied until it was time to make a good lunch (chicken and leftover kale with fresh guacamole), snacked on a few blueberries with a cup of hot tea, and then had a delicious dinner (garlic-lemon chicken with roasted carrots and balsamic onions). I felt so healthy all day! Taking care of your body means just that: taking care of your body. That means that you should make sure your body has what it needs, that it is comfortable, and that it is disciplined. Whether we like it or not, all three of those things require that we make a commitment. It’s very easy for me to put myself on the back burner. When I’m doing something important (working, taking care of things at home, even blogging), I will sometimes ignore feelings of hunger, or try to do something quick to make it go away (a spoonful of almond butter, a handful of pistachios, a square of dark chocolate, etc.). I will sometimes do a tough workout when my body is already crying out for rest. And I won’t even go into my occasional sleep issues (here’s a hint: I do not like going to bed early). Well guess what, folks? It turns out that stomach aches are not as fun as I remember. And guess what else? This is all in my control! I sometimes complain about how overweight people don’t just reach out and GRAB an opportunity for better health! It is all in your control! But here I am realizing that I myself have not been taking advantage of that control. 1. I’m taking a break from nuts and seeds, and slowing down on the fruit. Will I miss my heaping spoonful of almond butter with flaxseeds? Yes. Will I want to take a dive into the huge Costco pistachio bag every time I walk past them in the kitchen? Probably. Will I wish that I could make my favorite chocolate chip cookies every night? Definitely! But I control my habits; my habits do not control me. 2. I am forcing myself to eat three good meals each day. This means that my little habit (developed over the last few weeks) of not eating breakfast, even though I’m hungry, needs to end. And grabbing a smoothie or a handful of nuts for lunch is no longer allowed (I knew this already, but like I said before… I allowed myself to get a little lazy!). To ensure that this happens, I’m putting breaks for food in my work calendar (which guides my day). If that’s what it takes, that is what I’ll do! 3. It’s time to get back into better sleep habits. I learned so much about the importance of sleep in February, and I don’t want to let all of those benefits fall by the wayside! 4. I have to listen to my body. When I am exhausted from traveling and not eating well (as I have been this week), I do not need to work out. My adrenals don’t need any more stress. Therefore, I am taking the rest of this week off. On Monday, I’ll ease myself back into my regular workout routine, and I’ll be rested and strong enough to handle it. 5. It’s time for some gut-healing. I’m not sure if my gut is irritated by the over-consumption of nuts, or by the recent gluten consumption (probably both! ), but I’m definitely feeling like I have some healing to do. 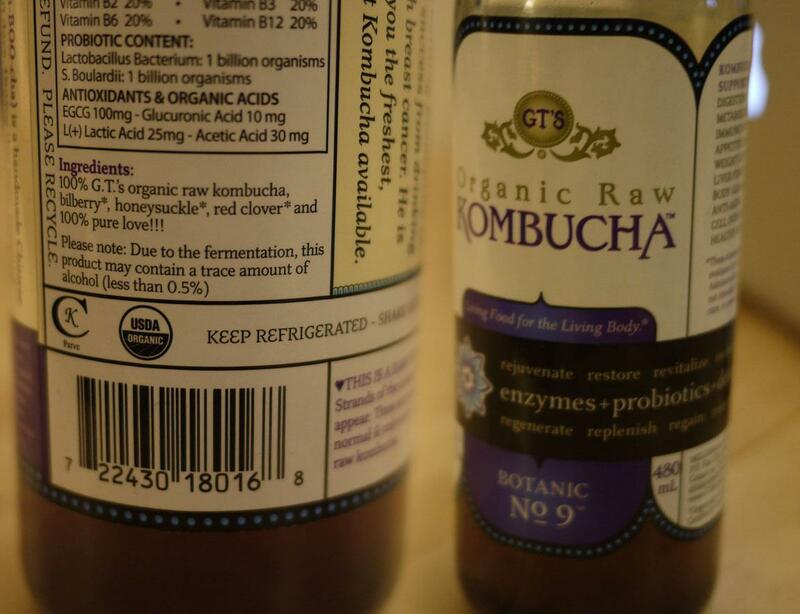 I’ll be making some bone broth, loading up on the sauerkraut, trying a little liver, and sipping on some kombucha over the next few weeks (take a look at #2, #3, and #4 at this link). For a look at my complete “protocol,” click here. Do you need a little reality check too? No one can take care of your body the way YOU CAN. Absolutely spot on. Even though I’ve been paleo for a while and I avoid gluten like the plague, I’ve noticed that some things bother me considerably. And I’ve had to customize even the allowed foods to what my body will tolerate. I don’t know why, but I seem to have some not so great reactions to paprika, which amazed me, but I’ve set that to the side now. Finally tracked it down to that. Great article though. And you’re absolutely right. Listening is the key and taking care of it means that you pay attention to the messages your body sends you. Joe, THANK YOU for the encouragement! I really appreciate it! Very interesting about paprika… but very cool that you narrowed it down! I’m actually excited to read this. My favorite snack has been a banana with almond butter. Recently I noticed I was becomimg very bloated at night to the point that my belly was tight. I stopped eating that combination and no more bloating. I had a banana by itself today and didn’t notice bloating, but didn’t pay much attention either. I’m definately cutting out nuts and backing off the fruit. Melissa, I’m glad that this was helpful! I’ve definitely had the tight-belly bloating too. NOT fun. Well, this is exactly what I needed to hear tonight. I have been very off this week. Not wanting to get up to work out and just really tired even though I’m getting enough sleep. Time to tighten up my food and get back on track! Thank you for the pep talk! You’re not alone in the stomach issues I stand right beside you. I have been gluten-free and dairy free for three years now. I an new to the Paleo diet just heard about it over the past three or four months When I found the Paleo parents. My question for you is no nuts at all but how often will you be eating fruit? I’ve been noticing a very full and bloated sick stomach every time I eat. I added bone broth to my diet last week. And I still find that brown rice or white potatoes sooth my stomach So I’ve been eating those. Thank you for your blog I love reading it everyday. Thanks for those kind words! I’m so glad that you enjoy my little blog! I will still be eating a little fruit, but only when it is consumed with both protein and fat (or very shortly thereafter). I’ve read a lot about how digestion of fructose is made easier this way. Once my gut has some time to heal, I *may* add almond flour back in… I love the occasional Paleo baked good! I would definitely encourage you to do a 30-day total elimination diet to see if that helps you… it always helps me! The Whole30 is my favorite 30-day program. (//www.easypaleo.com/whole30) It is the perfect way to find out exactly what is triggering certain problems. This is exactly what I needed to read today! 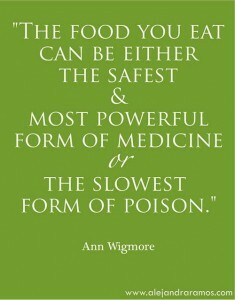 Just this week I have had to take re-control over my Paleo eating, as well. I had to write out my criteria and it almost mirrors yours! I am not allowing myself nuts, in any form, for 2 weeks; allowing myself only 1 serving of fruit a day (and it must be breakfast or lunch) and I must eat 3 meals (no snacking!) each day. It is so encouraging, and comforting, to know that I am not the only one out there going through this. Thanks for your words! It makes me feel better to know that I’m not the only one, too! Thanks for your sweet comment. Keep me posted on how things are going for you! Thank you so much for this post!! Your transparency gives me such encouragement!! It really made me realize that I need to really listen to my body. Even though I feel AWESOME 90% of the time, I truly deserve to feel that way 100% of the time!! 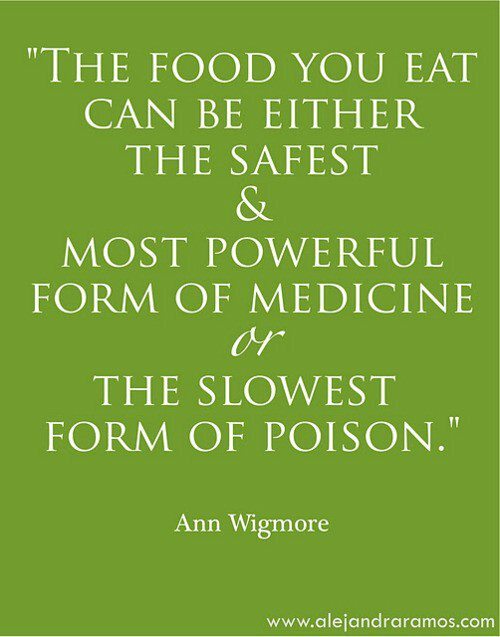 (Especially when I’m trying to convince everyone around me that Paleo is the way to go!) Thank you again!! You are absolutely right! Thanks for being so sweet! Remember, too, that some people need to try eliminating nightshades. I think that paprika would be in that category. Paula – you are so right! That definitely makes sense. I’m glad you figured out what the problem was! You are such an inspiration, I loved reading this… “I control my habits; my habits do not control me.” I REALLY need to hear that! Thanks!! Since I started Paleo in January, I continue to have digestive issues and have no idea why! But your post has given me an idea that perhaps I too have been effected by too many nuts! I have also been thinking that eating too many nuts and nut butters slows down my weight loss. I know we are supposed to focus on how we feel, but I’m gonna be real…. I have 60 lbs to lose and I want to lose at least a good amount of that! Anyhow I keep a ziplock bag of mixed nuts at my desk for a quick snack at work, and I know that I tend to mindlessly eat too much of it. Yesterday I started taking a break from nuts, so I’m going to keep going for a few days and see if that helps. Thanks for being honest! It helps those of us (i.e. me) become more aware of our bodies. Thanks for your kind comment! Let me know how things go once you remove the nuts. And good luck on your 60 pounds!! Good for you!! Great read!! Very helpful…was dealing with the same problem..any suggestions of potential Paleo snacks that do not involve nuts/seeds/fruit? Glad it was helpful! As for snacks that don’t involve nuts/seeds/fruit, I suggest carrots sticks, cucumbers, kale chips, sliced bell peppers (yum! ), veggies dipped in homemade ranch or guacamole… hope that helps! So happy I just found this, I was eating too many nuts! Couldn’t figure out the stomach pain. Throwing out the pistachio bag from Costco! It was like you read my mind. Back to balance. I take yoga twice a week, the theme today was “mindful eating” – wow!